For some of you this is news, and for others it’s old, but on Christmas Day I became a dad for the first time. Kat and I were expecting our little guy to come, but in January, and certainly not on Christmas day. My day started at 5:30 when Kat turned the light on and was patting the bed. So that’s how my Christmas started. I reached over and plugged in the iPad so it would have a full charge, and we both got up. Her contractions hadn’t started yet, which a quick Google search showed was normal, but only in 8-10% of births. A few hours later they started, and we breathed a sigh of relief (once the water is broken the baby is left unprotected, and can become infected if left too long). We cleaned the kitchen, I wrapped Christmas presents, we did some baby laundry, and I took the dog to the dog-sitters. The entire day was completely calm, though Kat would have to pause from time-to-time because of a contraction. We kept our doula, Ricky (she’s absolutely awesome!) in the loop, and in early afternoon she came over. We hung out and Ricky helped Kat with some exercises. 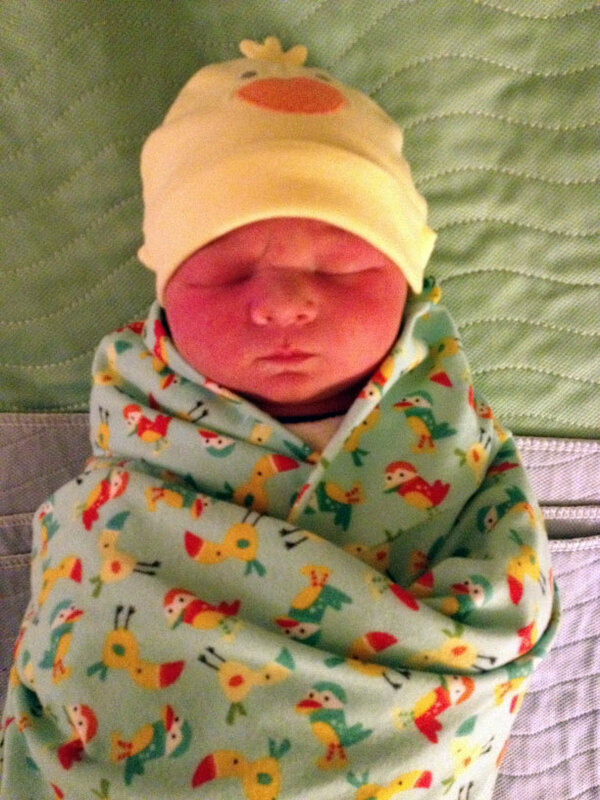 Around 3:30 we arrived at the hospital, and at 6:20 Broderick Dmitry Lacey was born, weighing 8 lbs, 5 oz. I’ll likely talk more in-depth about the type of birth we had in another post, but Kat managed to do it completely natural, and without drugs. She did such an amazing job, and I was so proud of her. So that’s how we spent our Christmas day. It wasn’t how I expected to spend it, but the present that was delivered is pretty neat. Expect lots more posts about fatherhood appearing here. I have lots to say, I just may not have tons of time to say it. Seriously! I was just going to comment on the iPad too and saw this. LOL. Brody is very cute!